Recently a topic of conversation at work was how to reach out to small acreage producers. There are a lot of small acreage producers in our area, but sadly a lot of them are doing nothing to protect or conserve the land they own. Our team includes many small acreage producers, as well as the collective knowledge & expertise to assist in conservation planning. We decided to write Conservation Corner articles sharing our own experiences to conserve our land and to improve upon what was already there. One of the first things we needed at our new property was trees. At first I thought that was just because without some pretty trees by the house, it stuck out like a sore thumb. The local NRCS person explained that a nice, well-planned windbreak would provide a break for snow and protection from the kind of winds we experience on the plains. I noticed in just a few short years they were already catching snow. 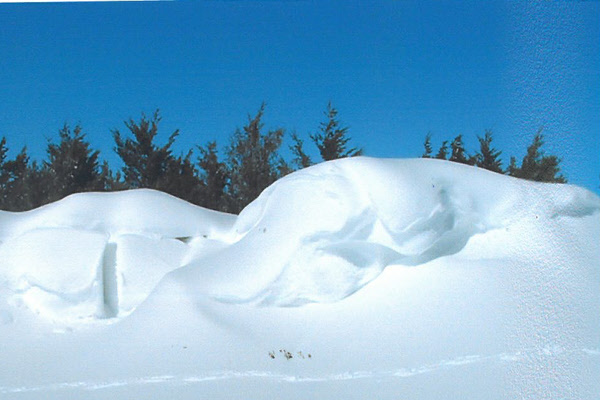 This windbreak provides shelter from the wind, keeps snow out of the driveway and is a haven for wildlife. The next thing we needed was a barn for livestock. You can’t have a barn for livestock without some corrals. You can’t have corrals for livestock without water for them to drink. So we trenched in a pipeline to provide water at the corrals. We selected a watering facility that would adequately provide enough water for the animals to drink in case we lost power for 3 days and could not pump water from the well. Fortunately, the planning paid off, since this exact scenario has happened. Another thing we noticed was some Canada thistle in the terraces was really taking off. The first year we took shovels out and started chopping them off, thinking that if we cut the root they would die. Boy, were we wrong! The thistle came back even thicker! Once again, the NRCS person explained noxious weeds to us and the damage they can cause. Then we got busy and sprayed the right chemicals to kill them off. Yes, it took some time and money. Now we are pretty much thistle free. We were chugging along nicely until we started getting more livestock. Now the real planning began! When we added cattle to our operation, it required more planning so that we could continue to have grass to graze for all the livestock. The first thing we did was to cross-fence our acreage. 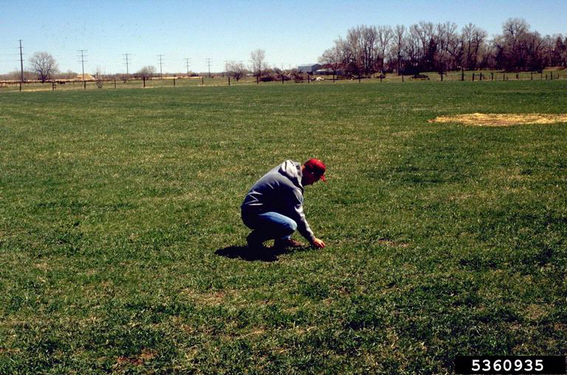 This way we could start a rotational grazing process where one pasture is being grazed while the other one is recovering. If grass does not get time to recover, it will not grow. If grass does not grow, you are left with degraded soil only producing weeds. They are green, but not nutritional!